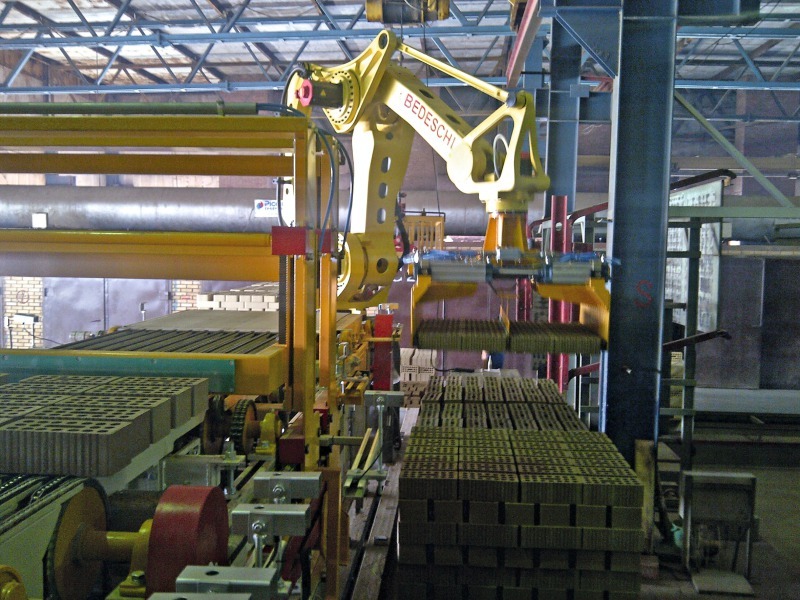 an important factory producing clinker and facing bricks, based in the Southern Kazan, Russia, has entrusted Bedeschi S.p.A with key projects over many years now. 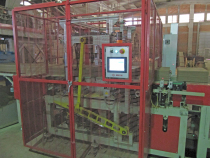 Numerous changes have been made to the two production lines aimed at improving the quality of the products and increasing production capacity. 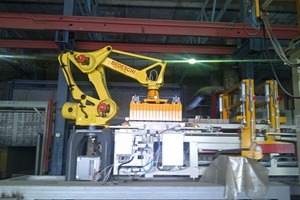 These include the installation of a new line for extrusion, cutting and frame loading line for facing bricks. 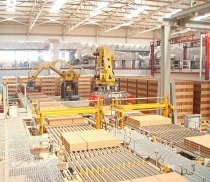 To increase capacity of the clinker line, a new cutter, chamber dryers, an automatic setting machine with robot and new shuttle kilns have also been installed. All this equipment was not only designed and engineered by Bedeschi S.p.A., but also installed and commissioned within the scheduled time. Supplied were a new LPS 10x8 roller mill for the final grinding upstream of the extruder, a new BED 550 XHP extruder for stiff extrusion, suitable for high extrusion pressures, and a new electronic rotary cutting machine. 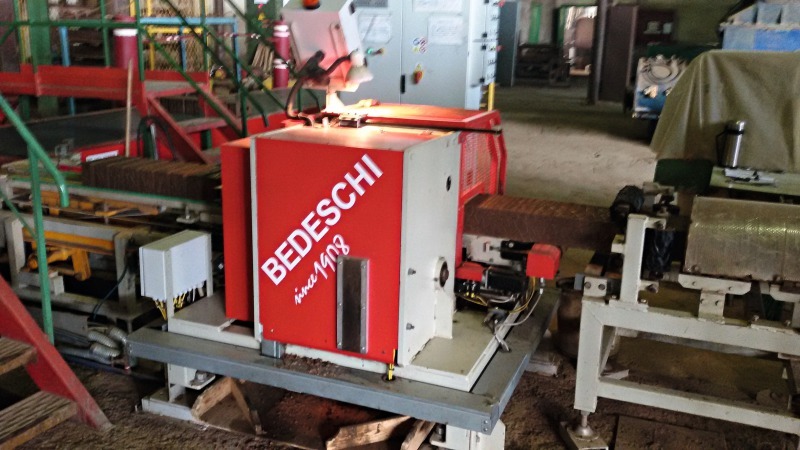 This Bedeschi TRBED cutter has only recently been added to the Bedeschi range of cutting machines, which also includes vertical and multi-wire cutters, cutters for chamfering all four sides of a facing brick and for high production capacities, electronic vertical cutters, etc. 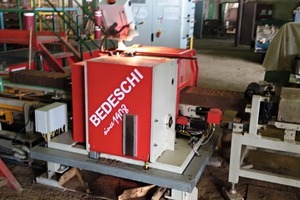 The new TRBED cutter is the result of years of development by the technical experts at Bedeschi S.p.A. 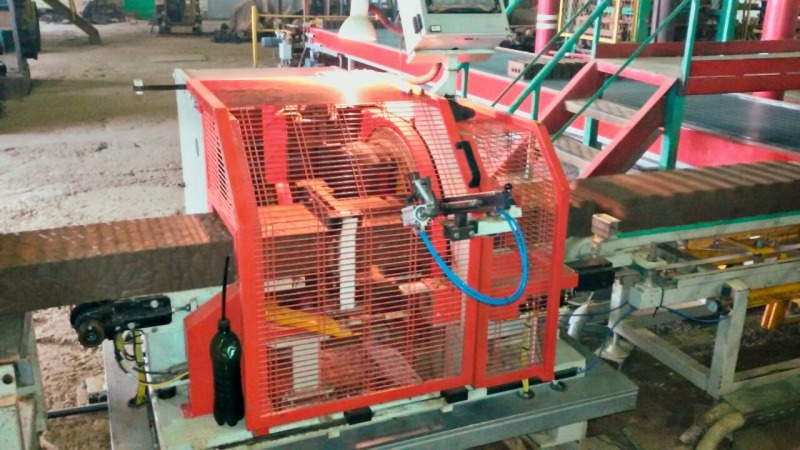 In this completely new machine the wire always cuts through the product in a downward direction, so it is not necessary to change the direction and the wire does not need to be repositioned for the next cut. Two cutting wires are fixed on two slides, of which only one is active. The slides move on two slewing rings with a continuous circular movement, never reversing their direction. The advantage of this technical solution is that the moving masses (and so the inertia) are considerably reduced since only the wire and not the whole cutting bow follows the product during cutting. This results in shorter response times, allowing better adaptation to possible fluctuations in extrusion rates. 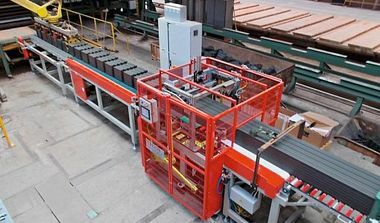 Furthermore, without any return movement of the wire, the cutting frequency is considerably higher compared with that of traditional vertical cutters, making it possible to achieve high production rates with just one cutting wire. Setting the machine is also easier: it is sufficient to enter the parameter from the operator panel, no manual intervention is necessary. The machine comes complete with a brush system for wire cleaning and a wire breakage signalling device. Further, when fixing the cutting wire in place, the operative is assisted by a compressed air system. This stretches the wire always with the same force before it is fixed. All the movements are operated by brushless motors controlled by easy-to-use, highly reliable software. 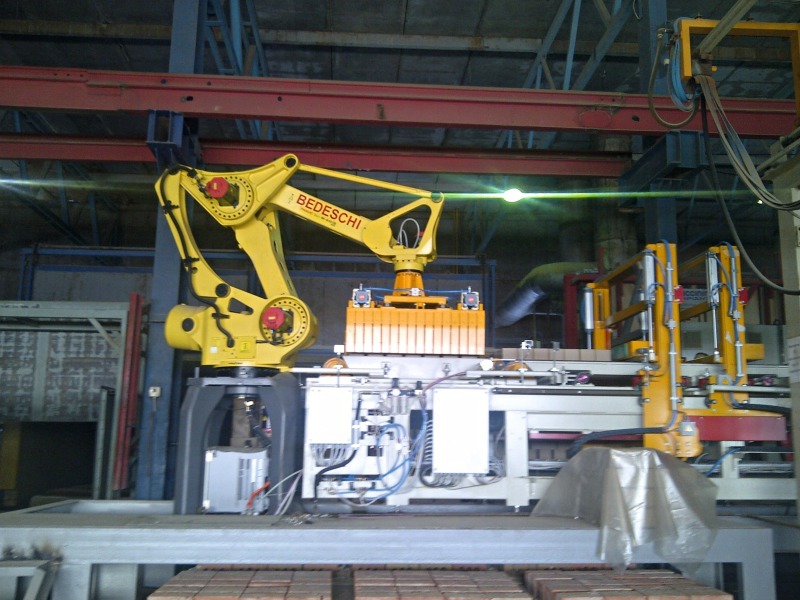 The production of the clinker line has been doubled thanks to the integration of a new chamber dryer, new shuttle kilns, a new setting line for the dried products (a tilting device, a layer setting line and a kiln car loading system with an anthropomorphic robot). The dryer, consisting of three drying chambers, has a central travelling inner ventilation system with three groups composed of two superimposed bidirectional axial fans, each one with 1000 mm diameter and 40 000 m3/h capacity. 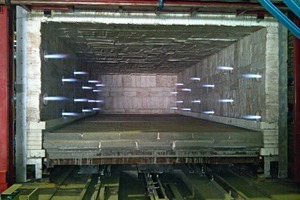 The thermal chamber, common to the three drying chambers, also uses the cooling air coming from the two shuttle kilns. 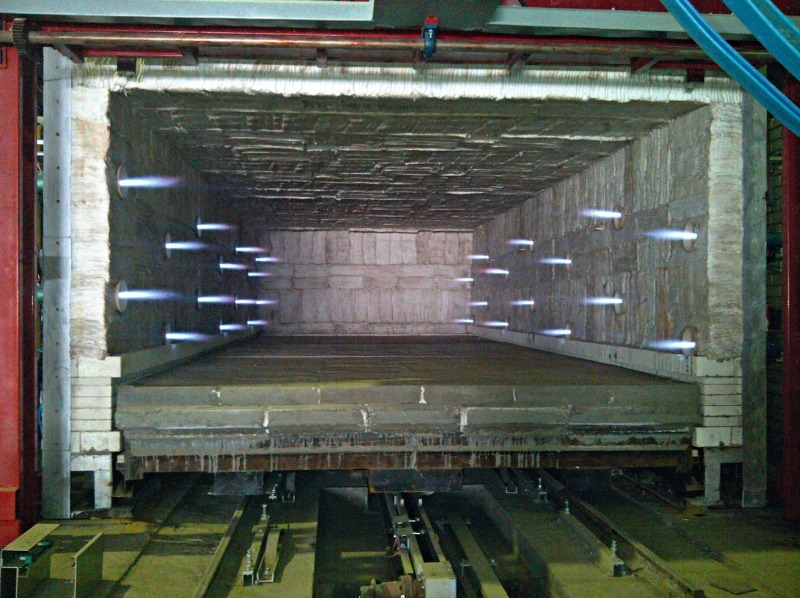 The drying cycles, based on a length of eight bricks on each side of the chamber, are completed within less than 48 h.
Each of the two new shuttle kilns and the three previously supplied kilns contain three cars with two rows of brick packs. The kilns are equipped with a firing system consisting of 28 side-burners divided into six regulated groups. An additional cooling system is activated at the end of the cycle. The firing cycles are completed in less than 36 h.
Both dryers and kilns are equipped with modern control and management software. Dedicated computers ensure automatic control of the various phases of the thermal cycle without any operative intervention. 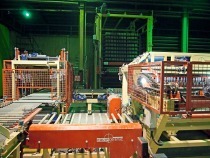 The supply also includes an automatic frame unloading system, as well as a kiln car programming and loading line with a robot for kiln cars. 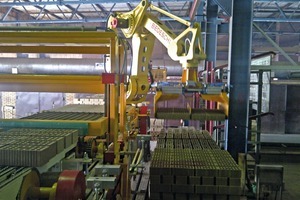 The supplied line allows programming of every single layer with a number of different bricks, which can be loaded both upright and tilted. The entire line was assembled and tested in the Bedeschi workshop before its shipment. This reduced the time needed for installation and commissioning substantially. 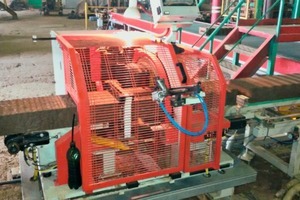 A second rotary electronic cutter that will replace the existing one was added to the scope of supply. 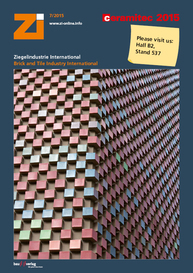 The Bedeschi team will be on hand to answer customer questions in Hall B2, Stand 425/526.